Individuals who have been having vision problems for several years will likely want to research eye exams in Medford, MA. By visiting Parrelli Optical, men and women will be subjected to sophisticated tests. If they do indeed require glasses, professionals will fit them with the correct lenses and frames right away. Most people will experience perfect vision for the first time in years. If patients are ultimately suffering from other vision problems, they can discuss their surgical options with the optometrist. The preliminary consultation should allow a long-term treatment plan to be worked out. 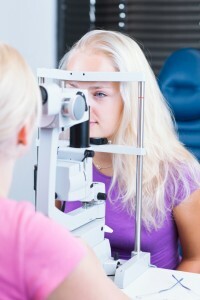 Eye exams are considerably important for a number of reasons. In fact, abnormalities within the eye itself can indicate problems in other areas of the body. Children should also generally receive their first eye exams when they are just beginning elementary school. If they have trouble completing the visual test, then they may need glasses for the classroom. With their vision improved, kids should be able to continue on with school without any serious problems. At Parrelli Optical, doctors will ensure that both eyes are checked out in detail. Physical observations might indicate that individuals are suffering from high blood pressure or high cholesterol. In the aftermath of the examination, optometrists will also sit down with patients to discuss the results. Some individuals, in fact, might need bifocals in order to see well. Others might be required to wear glasses when they operate a vehicle at night. In most cases, a standard examination chart will be used. Patients who are able to accurately read the letters on the fourth or fifth line will be in good shape going forward. Men and women who are experiencing vision problems will ultimately want to visit Parrelli Optical. Having found the best location for eye exams in Medford, MA, they can return to the facility at regular intervals.